You're never far from sushi in Singapore. With its cosmopolitan population – including many Japanese expats – you’re never far from a sushi restaurant in Singapore. Whether you just want a couple of California rolls in a take-away container or a Michelin-starred dining experience, Singapore has something to satisfy sushi cravings on any budget. Toot toot, keep the sushi coming! Sushi is known for being expensive, so if you want the best deal go straight to the source – a Japanese supermarket. Isetan Supermarket on Orchard Road has an extensive selection of take-away sushi and other Japanese snacks like yakitori meat skewers and cold noodles. Prices range from S$2 for a simple tamago maki roll (egg sushi) to S$15 for a sashimi bento box. Another spot for cheap sushi is Umi Sushi which has more than a dozen locations located conveniently near MRT stations. The sushi is pre-made and served cafeteria style – choose what you want, put it on your tray, pay and then eat. A decent sushi lunch and a soft drink will set you back around S$10. The quality of the fish is lower than at Isetan, but at least you have somewhere to sit. As good as anything in Tokyo (well, almost). 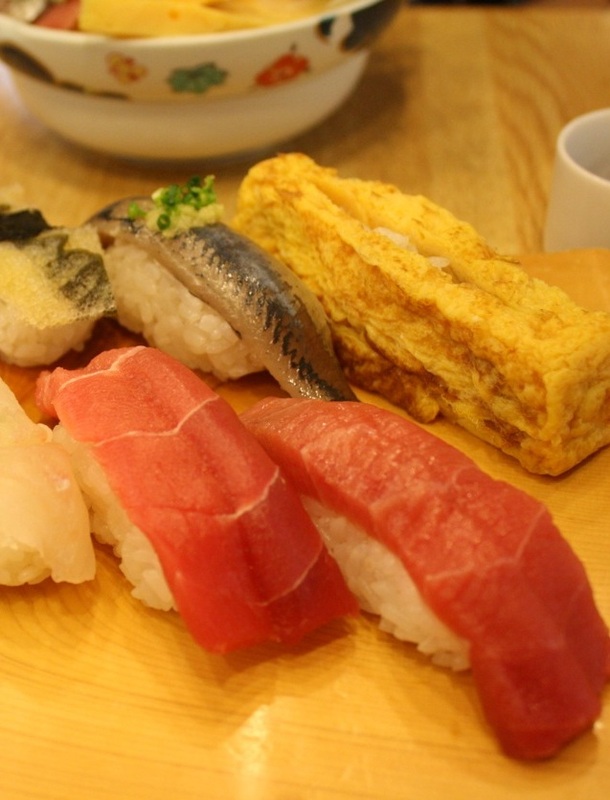 The best value sushi in Singapore tends to come from midrange Japanese chain restaurants. 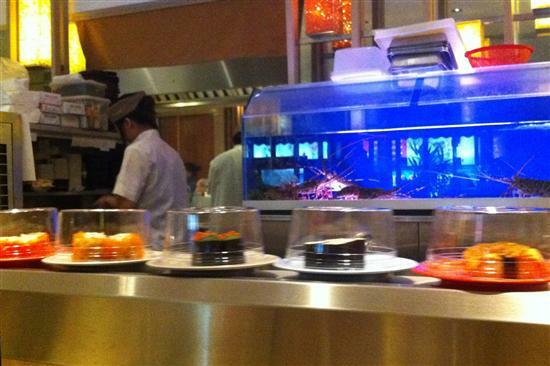 Sushi Tei serves favourites like salmon and unagi (eel) sushi via a conveyor belt, with items costing S$2-6 per plate. Premium items like hamachi, sea urchin and wagyu beef can be ordered from the menu, plus there’s a seasonal menu featuring items in season in Japan. 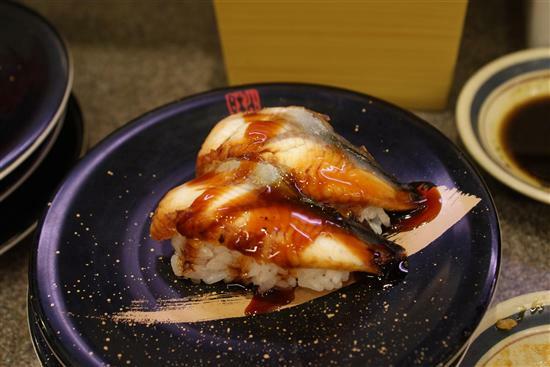 Sakae Sushi is another chain restaurant with multiple locations, and most diners come for their popular sushi buffet. Don’t be put off by the word “buffet” – the sushi is fresh and there’s a good variety. The price for an adult diner is S$19.99 for lunch or tea time and S$21.99 for dinner, with a S$2 surcharge on weekends and discounts for children. In addition to the all-you-can-eat sushi, it includes udon and Japanese dessert. Who knew eels were delicious? If you’re looking to have the meal of a lifetime, make a reservation at Shinji by Kanesaka in colonial Raffles Hotel. Chef Shinji has two Michelin stars to his name and is regarded as one of the best sushi chefs in the world. Hopefully you have an expense account, as dinner starts at S$220 per person before adding tax, tip or even a shot of sake. Isetan Supermarket: 350 Orchard Road, (65) 6733 1111. Open daily 10:00–21:30. Umi Sushi: Multiple locations including 313@Somerset Mall, Kallang MRT, Jurong East MRT and Holland Village MRT. Sushi Tei: Multiple locations including Raffles City, Ngee Ann City, Vivocity and Holland Village. Sakae Sushi: Multiple locations including City Hall MRT Station, Wisma Atria, Suntec City, Plaza Singapura and Harbourfront Centre. Shinji by Kanesaka: #02-22 Raffles Hotel, 1 Beach Road, 6338 6131. Open 12:00-15:00, 18:30-22:30 Mon-Sat.